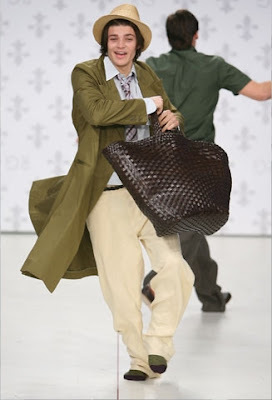 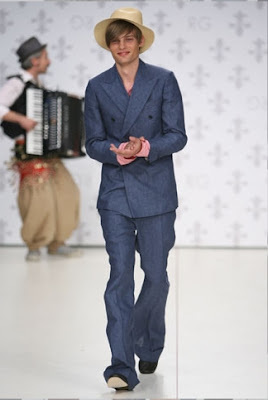 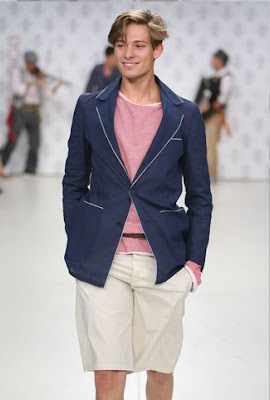 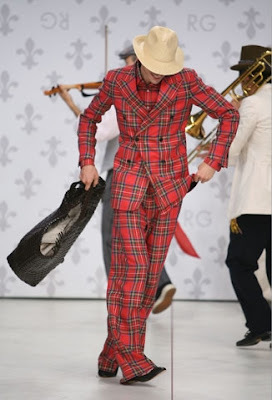 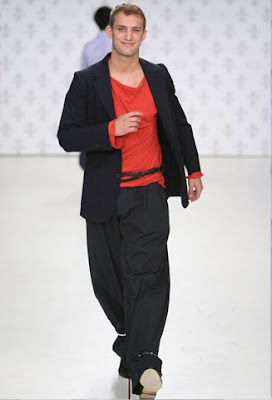 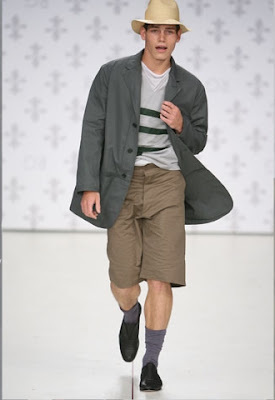 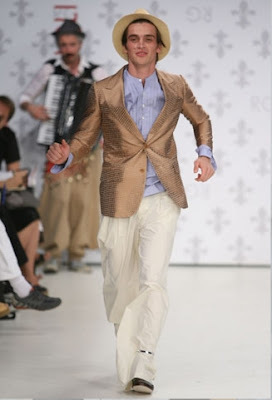 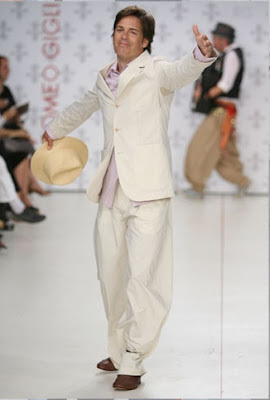 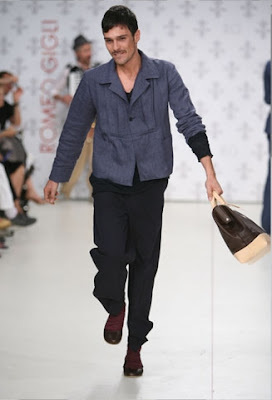 Light, ease and fun is what Romeo Gigli spring/summer 2008 for men is all about. 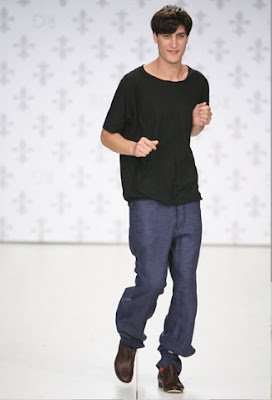 It’s the anti-thesis of Hedi Slimane razor slim cut silhouette that seems became the prototype shape in men’s fashion lately. 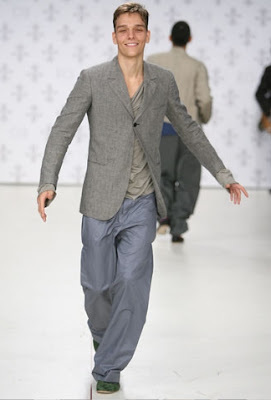 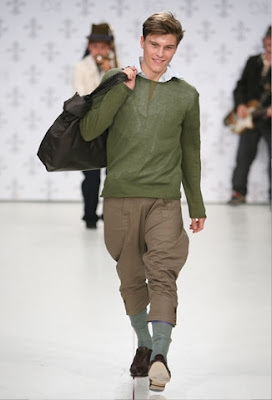 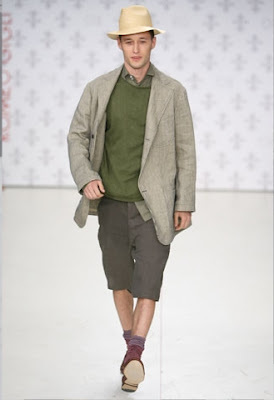 Gigli offered men wide shape jackets and trousers in sand, rope, ecru and grey and green hues colours. 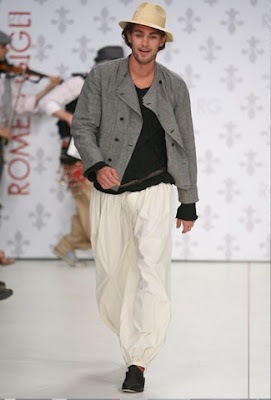 I love the live in look of the clothes as if the models just walk up from their bed and headed straight to the runway. 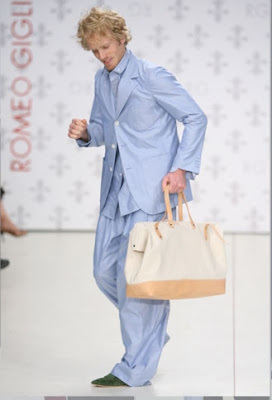 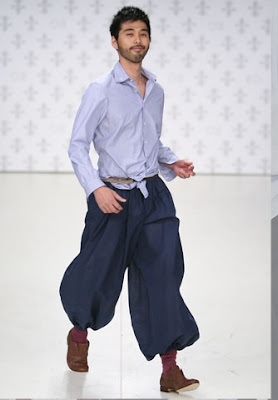 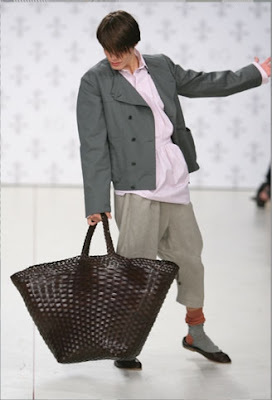 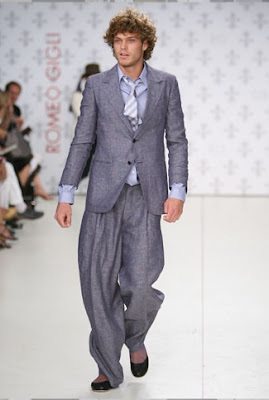 The combination of high-waist front pleated trousers in very light linen, cotton and cashmere, and accessories like short squared off halves ties and old plumbers bag feel so playful. 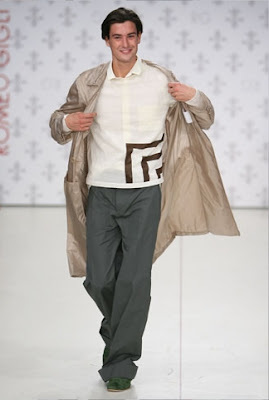 Romeo Gigli one time said that he takes his inspiration not from the human body itself but from the essence of the personality inside the body can convey. 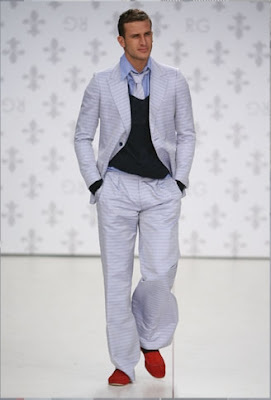 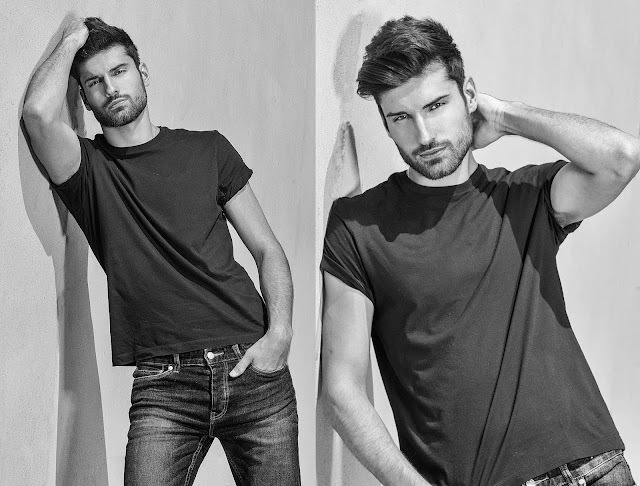 This collection really showed that, with the wider silhouette and lightness of fabrics, it shows that Gigli men are very confident, smart, whimsical and high spirited. 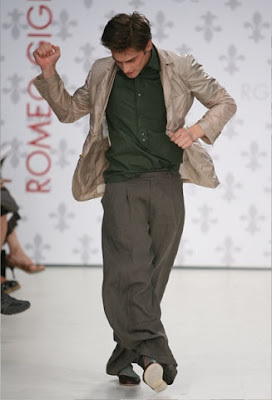 Also I enjoy watching the models dance goofily in the show.